Any more one year speeds which reached only by super sports cars and racing models with traditional internal combustion engines earlier obey electric cars, but the lath regularly raises. Recently the main champion as regards driving of electric car is the British businessman, the politician and the racer-fan (and also the carrier of a title of the lord) Under Drayson. 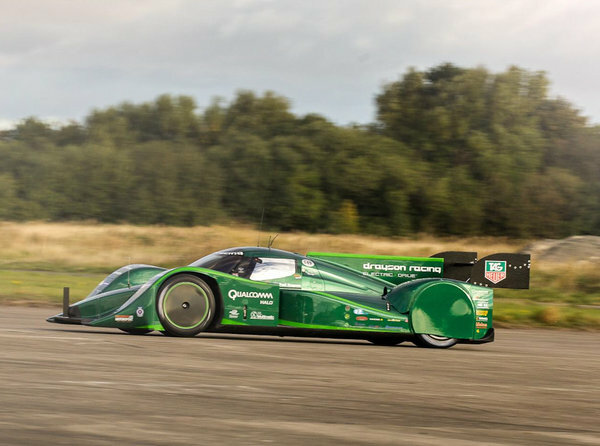 Its car constructed on racing chassis Lola set up a new record – 333,271 km/h, – that almost on 5 km/h more than a former record which he established last summer. Up until that time the record was on 50 km/h lower, and it has been set 40 years ago. Arrivals passed in English airdrome Elvington, and to offset there was an average speed which to the car managed to be kept on a distance in 1 km following the results of two arrivals within 1 hour. It is necessary to tell that the runway there has quite standard length 3 km, and here when Under Drayson deduces the electric car on hydrochloric lake where there are more places for dispersal and braking, it is possible to expect new records. Drayson B12 69/EV weighs less than ton and has a power-plant capacity more than 850 h.p. Dispersal to 100 km/h at it occupies nearby 3 with. Specially for new record arrival engineers finished aerodynamics a little and modernized engine. Besides record speed, Draysons car also showed the best result in the world among electric cars in drag racing (arrival on mile m). On overcoming from a place of 402 meters it needed 9,742 seconds, and in this time she had time to be dispersed to 148,6 km/h.